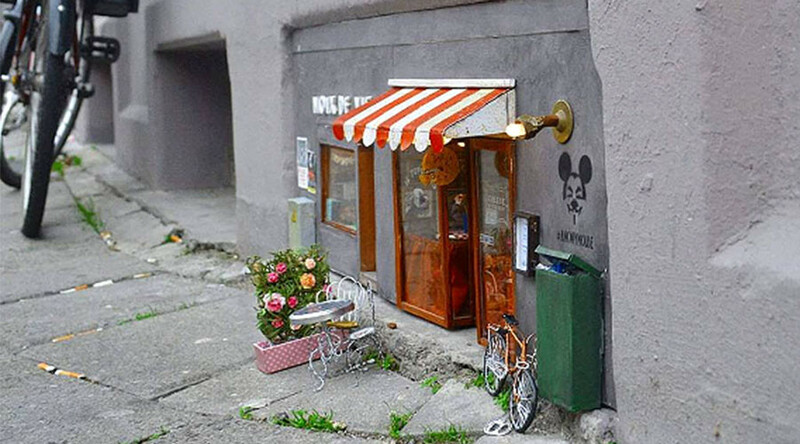 An art group named ‘Anonymouse’ has opened a new chain of miniature restaurants designed to specifically cater for mice in Sweden. The quaint 70cm x 30cm (about 25×12 inch) stores, located in the Swedish city of Malmo, offer everything a modern-day mouse would need, including a wide selection of nuts and cheeses, to notices about upcoming mouse events. While the mice are surely thrilled with the giant step in rodent evolution, it’s the exquisite attention to detail that has humans coming back for more. The street art creations have become something of a Banksy for rodents; the anonymous ‘Anonymouse MMX’ crew behind the installations has yet to reveal itself.